***Many excellent Stories about Suzuki by Ed brown from his book Tomato Blessings and Radish Teachings: Recipes and Reflections. Links to more on Ed and this and other books of his can be found there. *** From Edward Conze's autobiography kindly sent by Rick Levine. 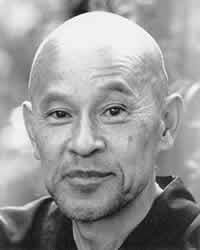 7-29-11 - Shunryu Suzuki and the Lotus Sutra in American Zen - an excerpt from Visions of Awakening Space and Time: Dogen and the Lotus Sutra by Taigen Dan Leighton.